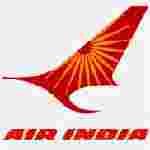 Air India Limited recruitment 2017 notification has been released on official website www.airindia.in for the recruitment of total 33 (thirty three) jobs out of which 14 (fourteen) vacancies for Technical Assistant, 12 (twelve) for Station Managers & Various Vacancies. Job seekers should apply on or before 03rd January 2018. Here on this page you will get the details like the Name of vacancies released by Air India Limited with exact number of posts. Some other criteria like Education details, application fee and way to apply application for Air India Limited recruitment 2017. Educational Qualification: AME Diploma/ 3 years full time AME training Course complete certificate from DGCA approved Institute for S.no-1. Graduate and relevant experience for S.no – 2. Age Limit: The age of candidate should be between 30 years for S.no-1 & 40 years for S.no-2 as on 01.12.2017. Fee charges: Applicants who wanted to participate for Air India Limited should pay the below charges through Demand Draft in favour of “Airline Allied Services Limited” payable at New Delhi. Interested and eligible aspirants should apply in prescribed application form along with photocopies of self-attested testimonials & DD send to Alliance Air, Personnel Department, Alliance Bhawan, Adjacent to the Office of the ED (NR), Air India Limited, Terminal – 1B, IGI Airport, New Delhi – 110037 on or before 03.01.2018.